Photo checks let you use your own photos to make cute and custom check designs. Our fun pug puppies photo is just an example of what your own checks may look like. Customized Photo checks are a new way for customers to really personalize their checks. Find your favorite photo of your pets, your children, your lover or any photo you think would look good on a personal check. Upload your own photos and they will become your very own custom photo checks. Use the rotating photo checks to add more photos to your designs making your personal checks even more unique. Place your photo checks order online and save up to 70% off bank check prices. You can't beat the savings on these cheap checks. Our cheap custom photo checks make people smile each time they write out a check. Such a fun way to show off your loved ones. If you like this type of personalization then you may like our custom photo checkbook covers. Don't be scared of this new technology. If you need help with uploading your photos just find the nearest teenager around and they will help you through it. You'll find detailed instructions when you place your final photo check order. Do you want your entire check filled with your image? No problem. Several check designs will do that. Or maybe you need a professional portrait of yourself in near the name and address field. Many realtors and career professionals like that style. It almost serves you like a business card would. Whatever photo check style you choose, be sure you order today and see how much fun checks can be. Whether you choose photos of your dogs or photos of your family, you are sure to benefit from the premium-quality check printing that goes into each and every check. We use superior security standards with our personal checks which will help you have peace of mind each time you write out a check. It's easy to securely order checks online and receive your checks in the mail, so don't wait to share your love of custom photo checks. Order now! 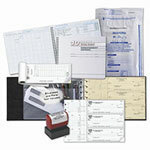 Thank you for shopping at Value Checks where you get great bargains on personal checks.